That’s the date of the Democratic Chair Candidates Forum. 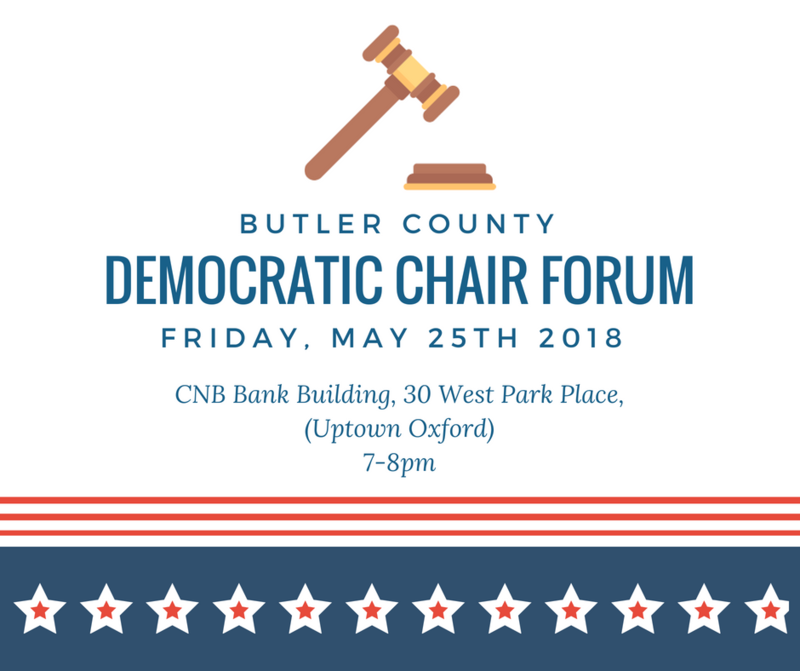 So far as we know, this is the first time that candidates for Chair of the Butler County Democratic Party have ever appeared in a public forum. Since current Party Chair Jocelyn Bucaro has announced that she will not seek re-election to a third four-year term, the party will choose a new leader at its June 6 Organizational Meeting. At that June 6 meeting (time and place tba), only men and women elected from their precinct on May 8 to the Butler County Democratic Central Committee will be eligible to vote for party chair and other party offices. But the June 6 meeting is also open to the public.